Have you ever had a fish pizza? Have you ever tried this unique dish, or tried to make it? Want to make it without ever worrying about it failing? Then try pizza games. 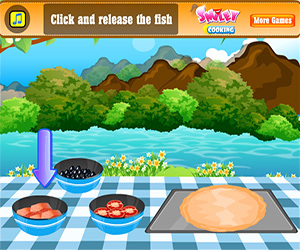 These games take the fun of cooking and turn it into a computer game that teaches your children the skills they need to be successful in life. Someone who can cook not only grows up healthier, but has more skills that can aid them as they get older. 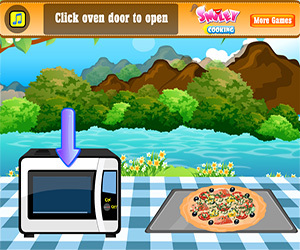 With this game, everything related to making the pizza is done with fun. Kids chop up the ingredients, virtually so no cuts, and they put everything on the dough. They can even throw it in the oven and watch it cook. Once it is ready to serve, you can enjoy it... virtually of course. That is the only downside, you can't eat that delicious food you just ate.